9 days from £4413pp plus international flights. 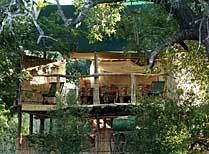 Owners of Remote Africa Safaris, John and Carol Coppinger, have their base and home at Tafika Camp in South Luangwa. They started the company in 1995, but John guided in Luangwa Valley for many years before this. 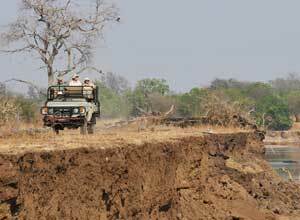 They have three camps in South Luangwa (Tafika, Crocodile Camp and Chikoko Tree camp) and offer high quality walking and game drive safaris, plus mountain biking. They employ about 90 people from the local village of Mkasanga, which they also back with help for the school and clinic via their charitable fund. 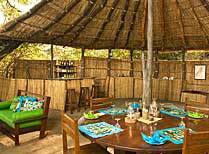 They also run Mwaleshi Camp in North Luangwa. This safari is a great combination of wildlife game drives, walking safaris, plus other activities such as cultural visits and possibly a bit of adventure on mountain bikes, and night drives to experience the nocturnal life of the African bush. 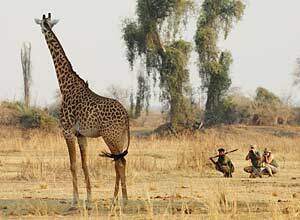 The area of South Luangwa their camps are in is quite far north, so the name Remote Africa fits well. You really should have this place more or less to yourself, and the wildlife here is superb including great leopard sightings being relatively common. Note: This is just one idea using Remote Africa Safaris camps, but bear in mind that we can make a trip of any length or combination of these or other camps to suit you. Minimum age 12 years for walking safaris. When you arrive in Lusaka airport you will transfer to a flight taking you north to Mfuwe. Here you will be met by a Remote Africa Safaris guide and driven to Tafika Camp. After lunch and a siesta, you will enjoy and afternoon game drive. 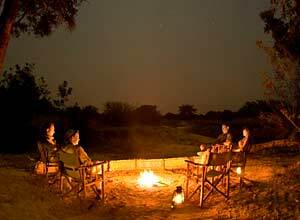 Sunset drinks, dinner and a chat by the fire brings your first day in Zambia to a close. Lunch, dinner. After breakfast today you are driven north up the river to a crossing point. After crossing the river you're in South Luangwa National Park, and there are no vehicles in this area, so you're on foot for the next four days! Full board. This is your second day in Chikoko, and you'll continue to immerse yourself in the African wilderness of this beautiful area. Your professional guide and armed scout will always be with you, pointing out the small fascinating things as well as keeping you safe near the larger exciting wildlife you might come across. Your day will be punctuated with a lunchtime siesta, as well as tea breaks and sundowners. Full board. 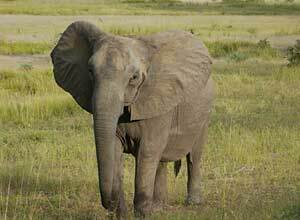 Today you will walk to the next camp along ancient hippo and elephant routes in the bush. We always walk in the early morning and later afternoon so we avoid the main heat of the day. The walking is not strenuous as there are no hills, but paths can be uneven in places so comfy lightweight walking shoes are recommended. At the end of he afternoon walk you have time to relax, enjoy a sundowner drink and look forward to dinner. Full board. 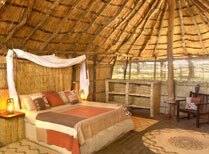 Another day to enjoy the wildlife and wilderness based at the remote bush camp. 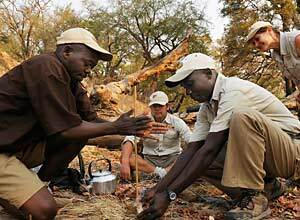 The morning walk lasts around 4 hours and includes a break for tea, coffee and snacks, while the later walk leaves camp following afternoon tea around 3:30pm and returns to camp before sunset. It's a wonderful way to immerse yourself in nature, unencumbered by the constraints of a vehicle. Full board. Today we head slowly back to the river where we cross and then you are driven back to Tafika Camp. 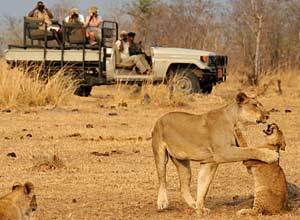 At Tafika you can take the weight off your feet and enjoy game drives in the Nsefu sector of Luangwa. Full board. A full day to enjoy activities from Tafika. Perhaps after a morning game drive you might like to visit the local village this afternoon? Full board. Your last full day at Tafika. 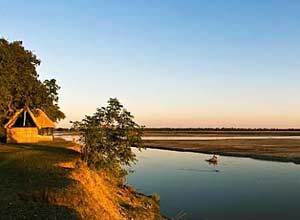 Game drives, walks, mountain bike riding or cultural visits are all possible, so take your pick for a memorable conclusion to your time in the Luangwa River. 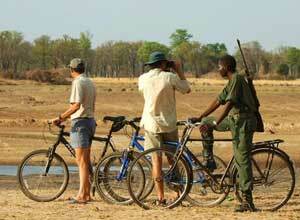 While in camp between activities you can enjoy watching hippos by the river and may spot bushbuck aand elephant. Full board. At some point today you will be driven back to Mfuwe Airport for your flight to Lusaka. The time will depend on what you are doing next. If you're going straight home, you might like the spend the morning here before heading off. Breakfast. Price notes: 2019 guide price pp sharing: May-Jun £4413. Jul and Oct £4745. Jul - Oct £5409. Full board accommodation based on twin share; flights Lusaka-Mfuwe-Lusaka; activities (game drives, walking, bike riding, cultural visits); park fees; drinks (except premium alcohol eg champagne); laundry. You need to fly into and out of Lusaka for this trip. Flights will cost from about £700 pp, and BA is usually the best option for most travellers. 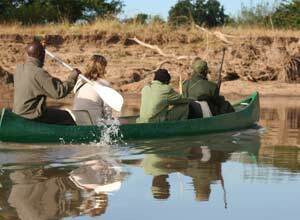 Departure dates: This is a private tailor made trip which can be taken at any time in the open season (25th May to end of October).